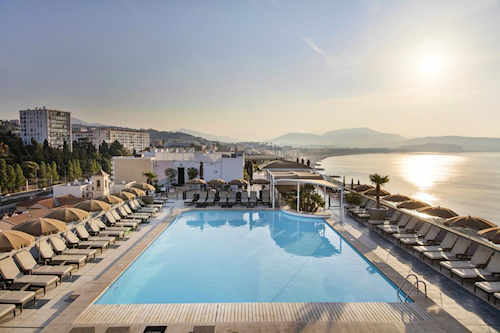 Regence Plage is the beach restaurant and private beach associated with and in front of the Radisson Blu hotel. It is Nice's westernmost beach residence and, as it's a little out of the way, there may be places available when other beaches are filled. Lounge chairs are topped with mattresses and comfortably spaced. 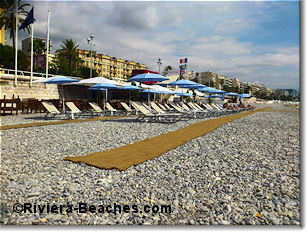 Regence Plage is on Sainte-Helene, a public beach, and the bus stop is right in front of the restaurant. See buses and parking for Sainte-Helene beach. The decor is relatively simple but attractive. The restaurant avoids surprises, serving up pizza, salads, grilled fish and meat. Restaurant Opening Hours: noon to 4pm May, June, September; also 7-10pm July, August and snacks 4-7pm. 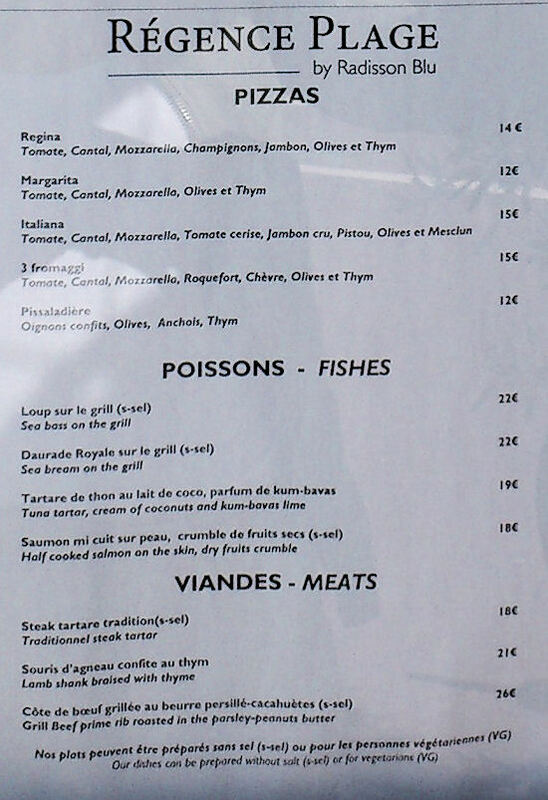 Restaurant Prices: Pizza €12; Fish from €18; Salad Nicoise €14.